Managing network connectivity in your data center is a critical part of ensuring that your operations runs smoothly. Failing to understand or neglecting connectivity can lead to critical problems in your data center, such as a security breach or a massive power outage. Although these problems may loom over any data center manager’s head, they can be avoided with the right DCIM software—one that provides both data center power monitoring and network connectivity management. In a traditional data center without DCIM, you would need to be onsite to understand the intricate details of physical connections, such as which devices are physically connected and how they are connected (assuming they are connected at all). Going to your data center location to manually check ports and connections hinders productivity by taking you away from your workstation and other responsibilities. Moreover, this task could be even more time intensive if the cables in your data center are more like spider webs and spaghetti than neatly managed connections. 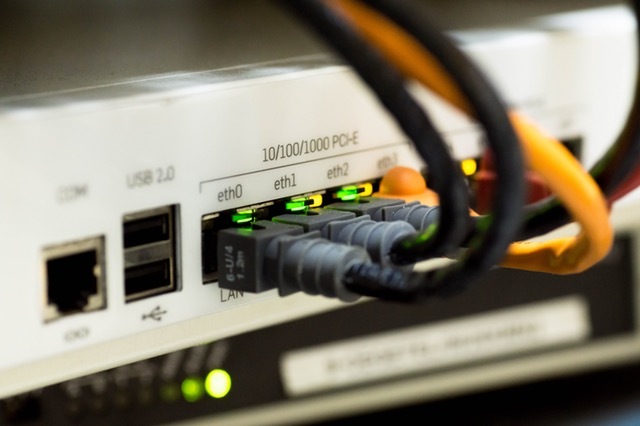 If connectivity is not documented and easily accessible and understood, complications could arise when trying to place a new connection or troubleshoot an existing one, and these issues may not even surface until your data center team is trying to do the work. Let’s take a closer look at the issues resulting from the lack of well-documented connectivity management. ● Network designers are unable to accurately plan for future needs. ● Overloaded power circuits lead to a greater risk of network failures. ● Unreliable and inaccurate structured cabling inventory results in unnecessary expenditures and stranded inventory. ● Complex, inaccurate and time-consuming power and networking cabling infrastructure management leads to delays in new service deployment. ● A lack of view into physical connectivity leads to longer restoration times. ● Inventory management. DCIM offers a comprehensive catalog of structured cables and patch cords for patch panels. It provides the ability to identify whether cabling needs to be upgraded or replaced and allows for the identification of unused structured cabling to defer the need to install new cable runs. DCIM also provides the necessary information to confirm that the physical cabling infrastructure can support the network traffic. ● Visual trace routes showing cable connections from circuit origin to termination. This provides a perspective on circuit connections and allows the ability to “follow” the chain with hyperlinks. Visual trace routes can reduce incident response time by eliminating manual cycles, including manual effort to trace and troubleshoot circuits and devices. They also can be used to create a history of the structured cabling that covers how the different components are connected, how they have been changed, and what the performance has been to enable faster restoration. ● Calculation of budget power the same way electrical engineers reserve power. However, calculations are done instantly across the entire power chain. This removes manual calculations and human error, ensures there is enough capacity to eliminate over-power conditions, and enables capacity planning for faster time to service deployment. It also aids in the installation, certification, and recording of cable connectivity between devices, eliminates the need to query resources manually by going on site, and helps you maximize utilization of existing resources. Without proper connectivity management, your data center can suffer from a wide range of problems, such as downtime, security breaches and power outages. DCIM software provides for remote connectivity management in real time so that you can monitor the inventory and health of your complete power chain and end-to-end network connectivity. Take a test drive with Sunbird DCIM and experience the faster, more efficient data center management that is possible when you have an inside look of your data center.